Thunder Force VI due in October! OK, so this news is about a day late, and we don't normally even post gaming news on the website, but this is pretty big news for shooter fans. Say what you like about Thunder Force V not ageing too well, but the series is one of the greatest in shoot 'em up history, with some brilliant music, fast horizontal gameplay and often with graphics which pushed boundaries and the ability of the host system as far, if not further than people though possible. All while staying absolutely true to the traditional shooter genre. So has Tecno Soft returned, or did they in fact never actually leave us? Sadly not. 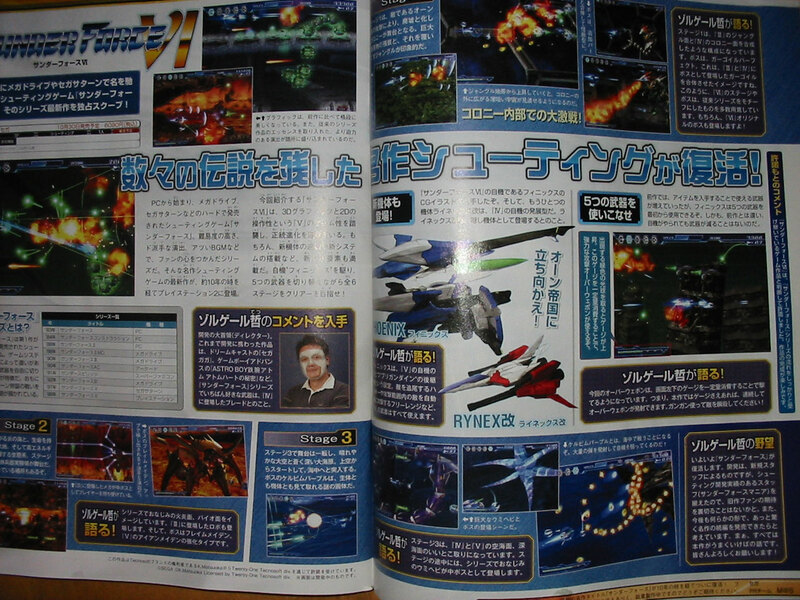 It seems they closed their doors in 2002, leaving behind a stillborn Dreamcast Thunder Force VI project. Now the game is being published and developed by Sega, with the project being directed by Tez Okada. We don't yet know if they've taken the Dreamcast version as a starting point but it seems likely. Considering the likely relatively low overall sales, it's once again a disappointment that Sega totally abandoned the Dreamcast, as this would have been a fantastic late arrival for the system. Anyway, no point on dwelling on what could have been, this is still an awesome announcement. We just hope there'll be some super special edition available. As soon as we get supplier confirmation, this one will be up for preorder!